It’s been a great year touring the Kingdom of Uke presenting Play Ukulele By Ear workshops. From Australia to Canada, California to South Carolina, I met thousands of fabulous ukulele folks in 2011. With that said, I’ll be presenting my last two workshops of the year this coming weekend. 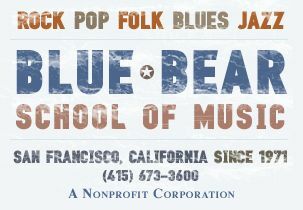 On Saturday, November 19 I’ll be at the Blue Bear School of Music in San Francisco. This is not only a ukulele workshop, it’s designed for uke and all other stringed instruments. On Sunday, November 20 I’ll be hosting a Play Ukulele By Ear workshop and jam session with the Napa Valley Flea Jumpers. Visit their link for more details. Thanks to everyone that came out this year to a camp or a workshop! I’ve got some exciting things on tap in 2012 including The West Coast Ukulele Retreat, Tunes In The Dunes II, a summer camp in the Sierra Nevada, my fall east coast tour and much more. Stay tuned!